So what are the security risks? Should you be concerned? Let's take a look. That depends on who you ask. Facebook points out that some of the data Bowes collected was already available through search engines like Google and Bing. The entire data set is also available to any user signed into Facebook. So the data was already publicly available, and nobody's private Facebook data has been compromised. Nevertheless, this is the first time that 171 million Facebook profile names have been collected into one set of files that can be easily analyzed and searched by anyone. It has been proven time and again that the more a bad guy knows about you the greater your security risk is. Collecting personal data allowed a French hacker to steal confidential corporate documents at Twitter. Researchers were alarmed when Netflix wanted to release anonymous user data including age, gender and ZIP code for the Netflix Prize 2. Security researchers said the data dump by Netflix was irresponsible since it is possible to narrow down a person's identity just by knowing their age and ZIP code. The contest was eventually canceled. One Carnegie-Mellon study also found a flaw in the social security numbering system that could allow a sophisticated hacker using data mining techniques to uncover up to 47 social security numbers a minute. You should also check to see if external search engines like Google and Bing are indexing your profile. To do this go back to your main privacy settings page, and at the bottom click on the "Edit Settings" button next to "Public Search." On the next page, if the "Enable public search" check box is ticked then search engines are indexing your profile. To stop this just uncheck the box and then click on "Back to Applications." If you were not in the public directory Bowes says your name is not in the torrent file. However, you could be exposed to similar data mining techniques in the future. 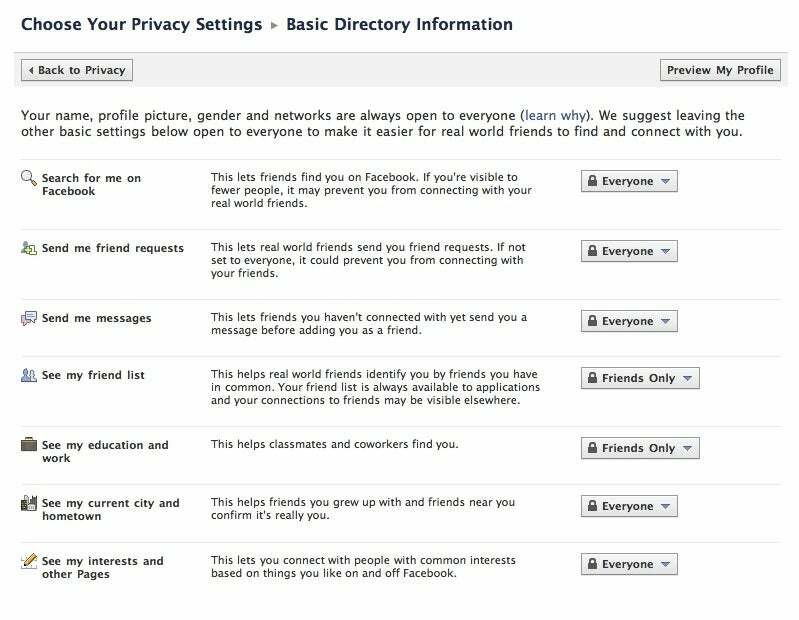 Bowes says that if any of your Facebook connections have made their friends lists public then your profile could easily be found through data mining your friends' profiles. The biggest concern isn't so much about your name and profile URL being exposed. The greater concern, for you anyway, is the publicly available information contained on your profile page. To protect yourself, you may want to reconsider your current privacy settings. To do that visit your Facebook profile's Basic Directory Information page by following the steps listed above or just click here. On the top right of the page you should see a button that says "Preview My Profile." Clicking that button will show you all the information you make public on Facebook. Data you may want to consider hiding includes your hometown, birth date, age, phone number, current city and e-mail address. So what do you say? Is Bowes' data dump making your rethink your Facebook profile settings or are you not concerned?